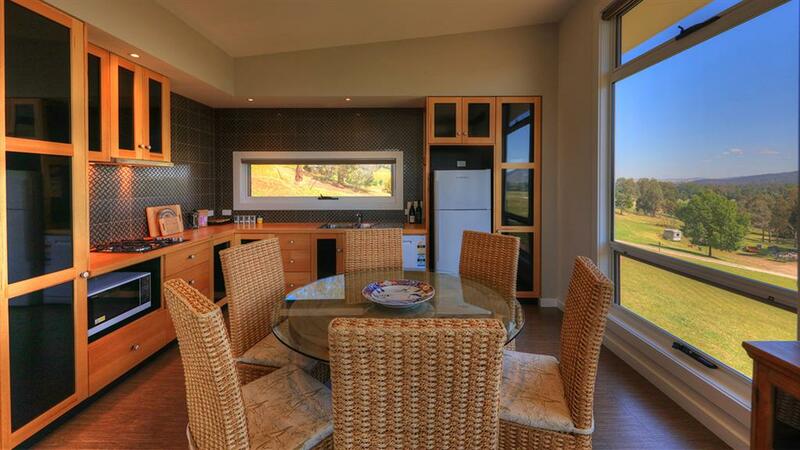 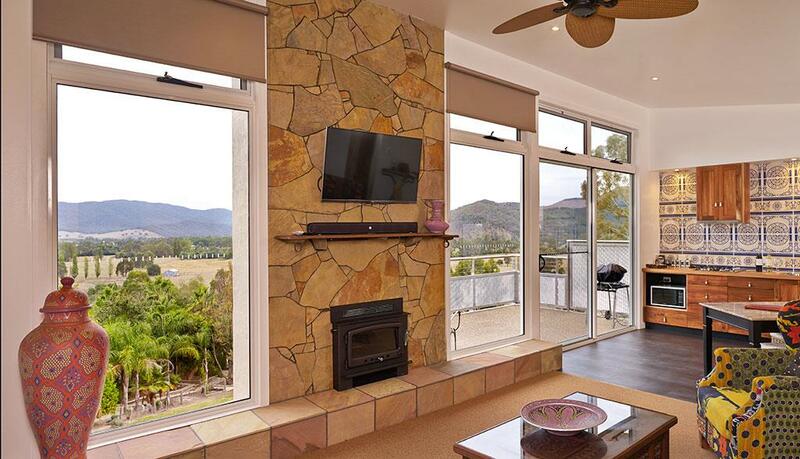 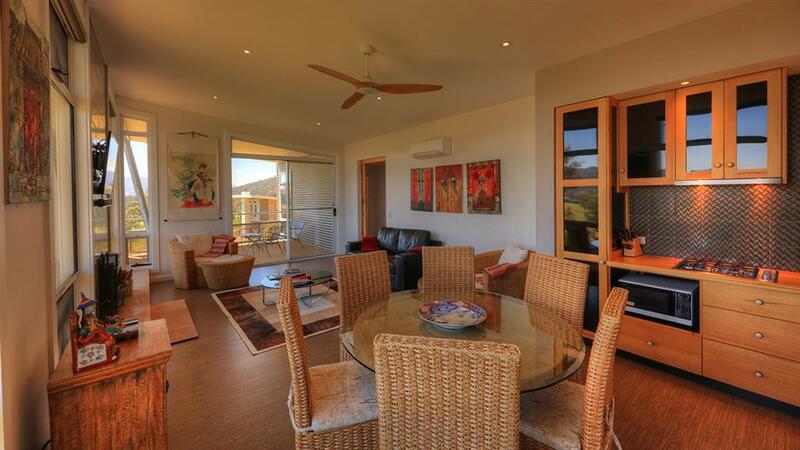 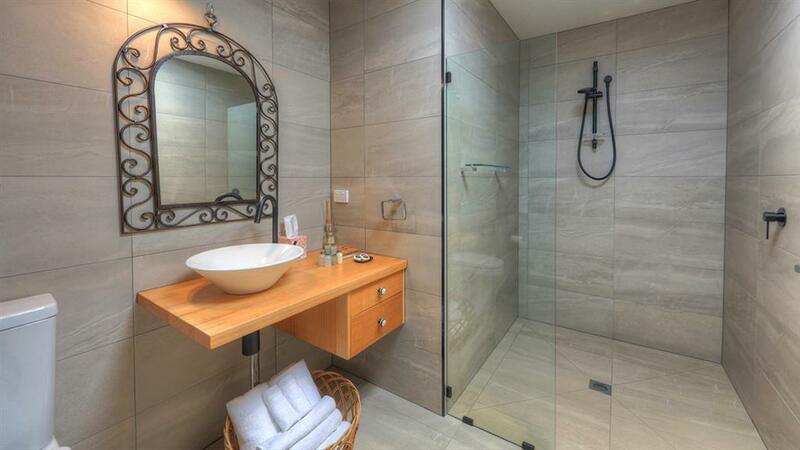 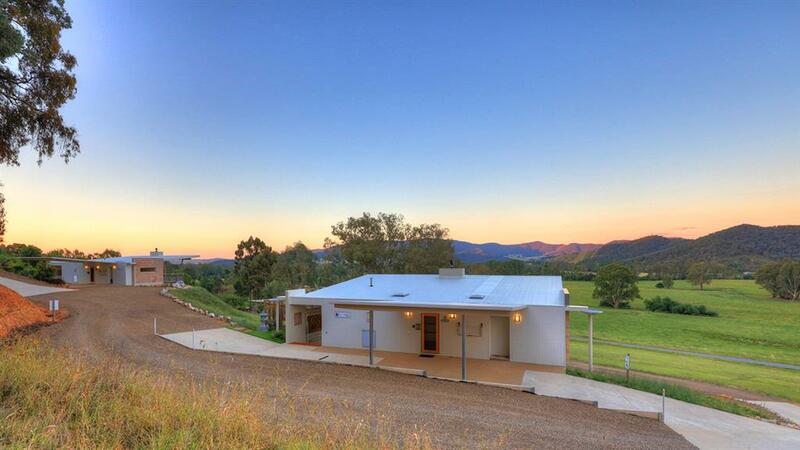 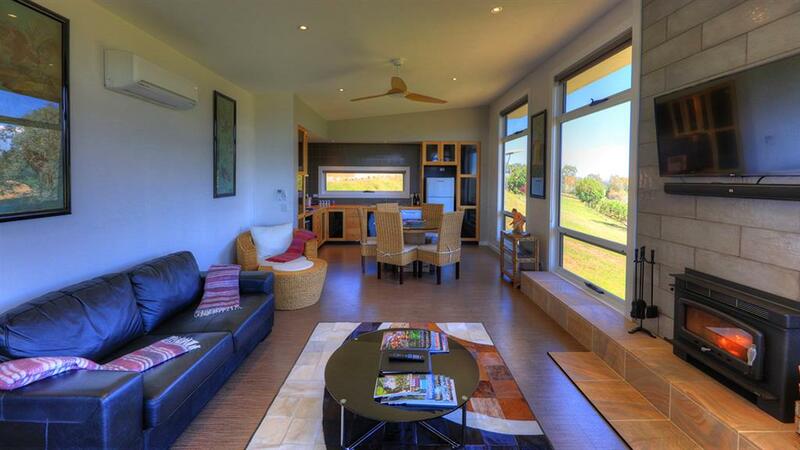 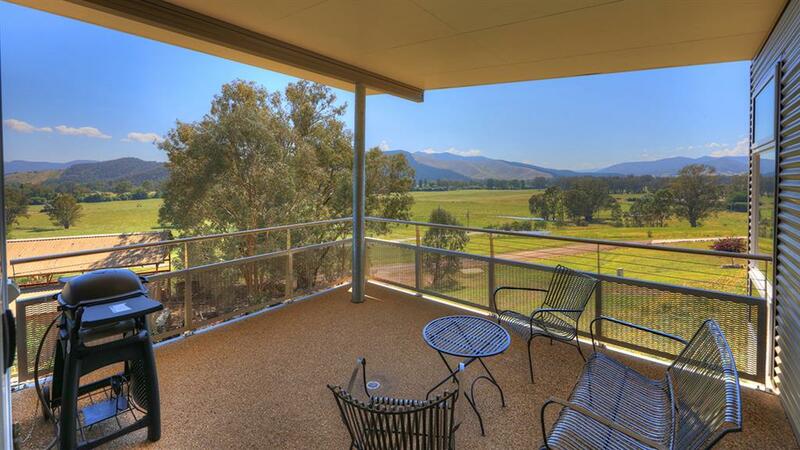 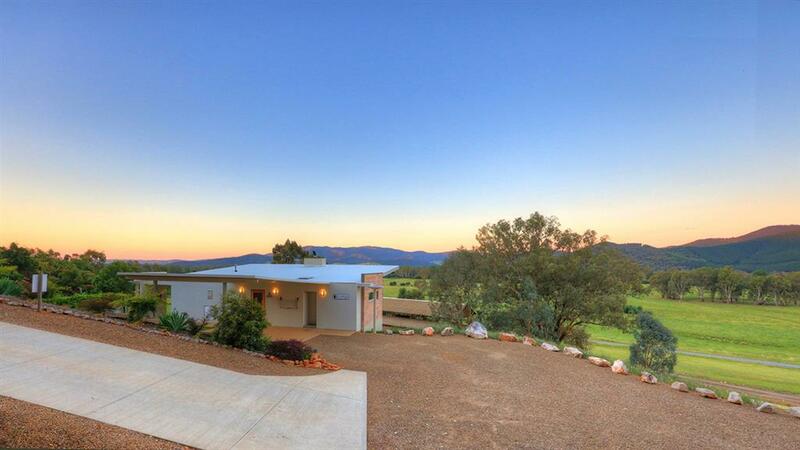 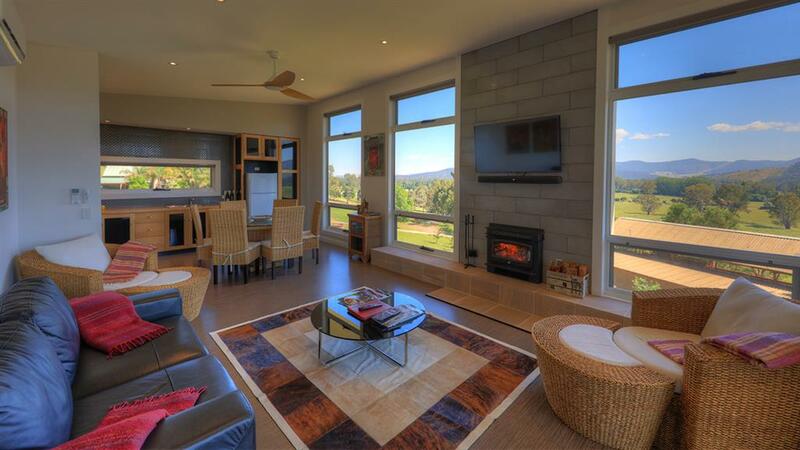 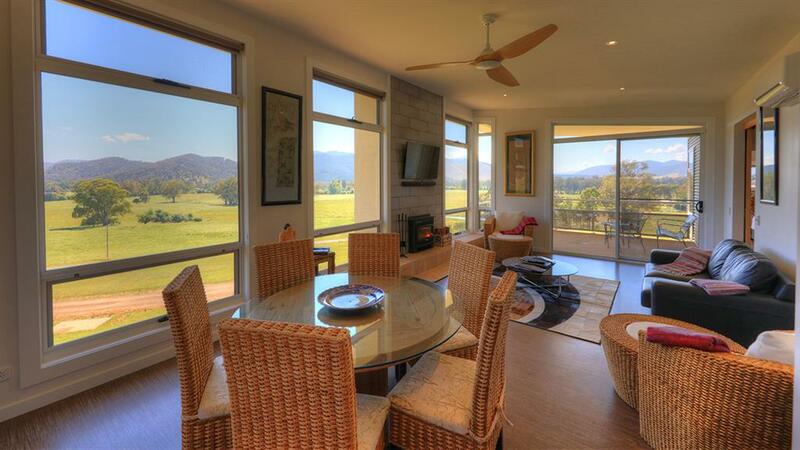 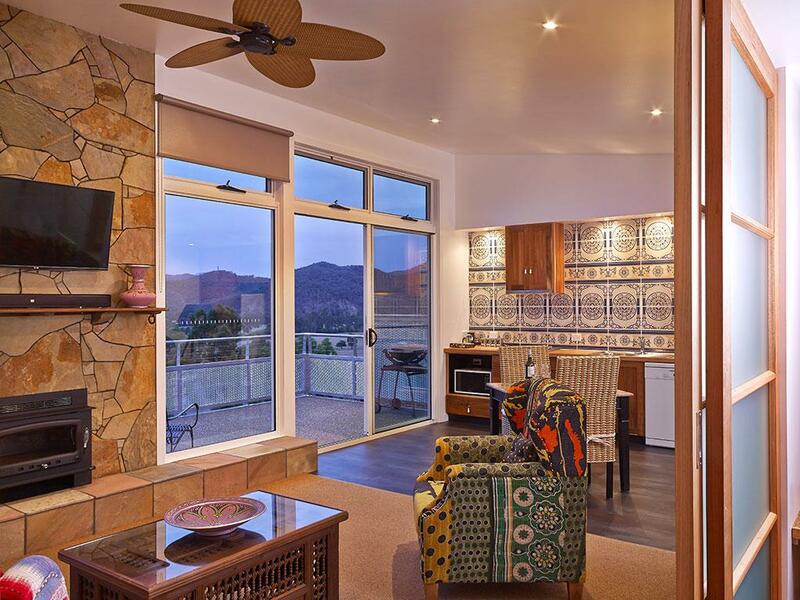 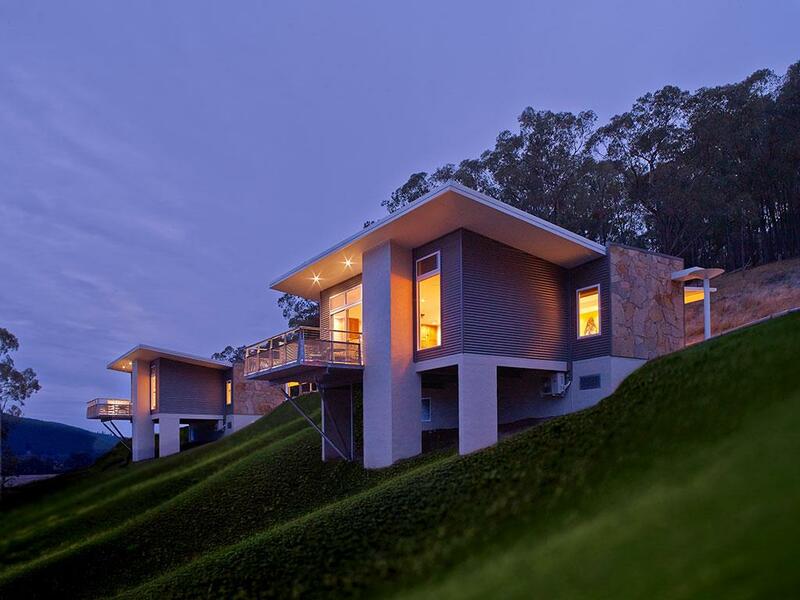 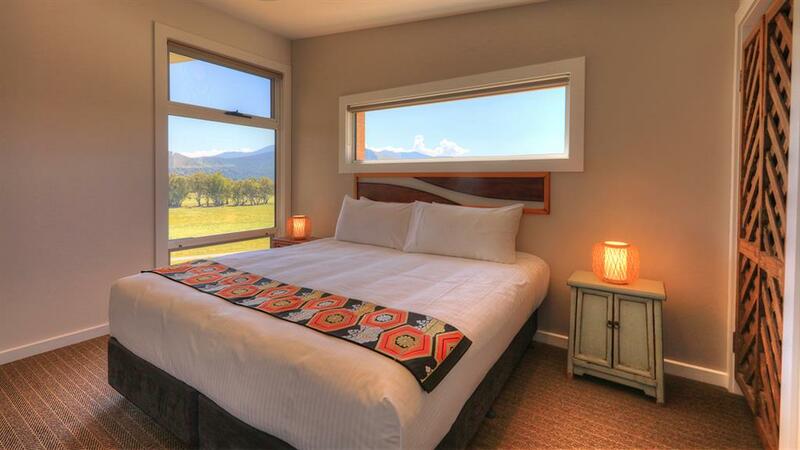 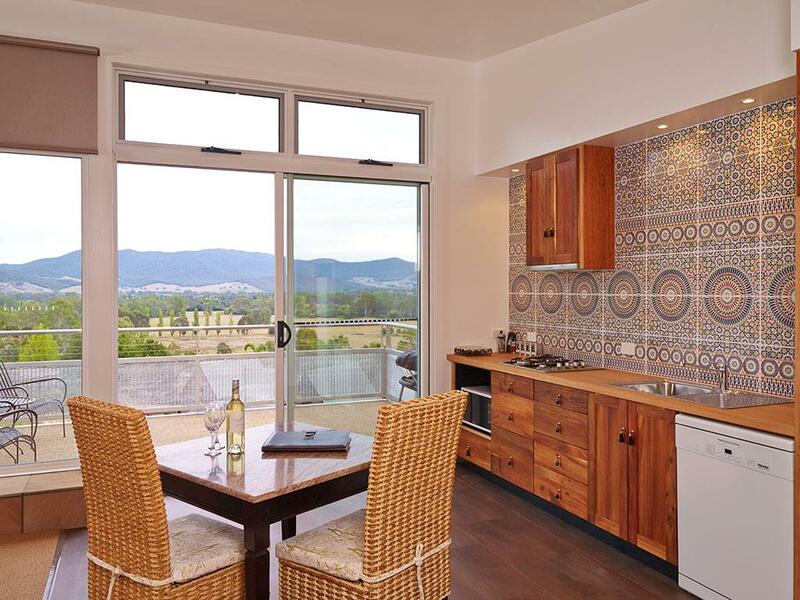 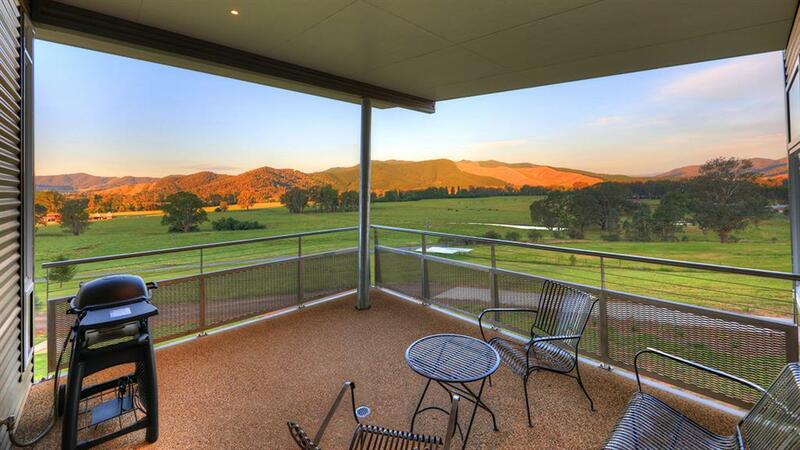 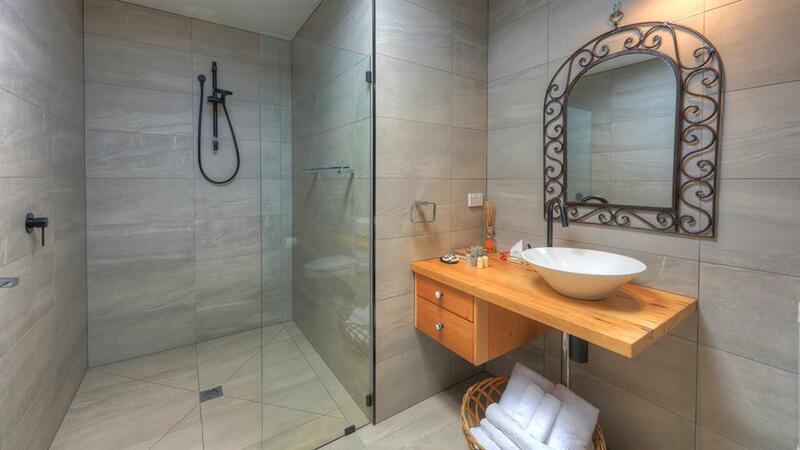 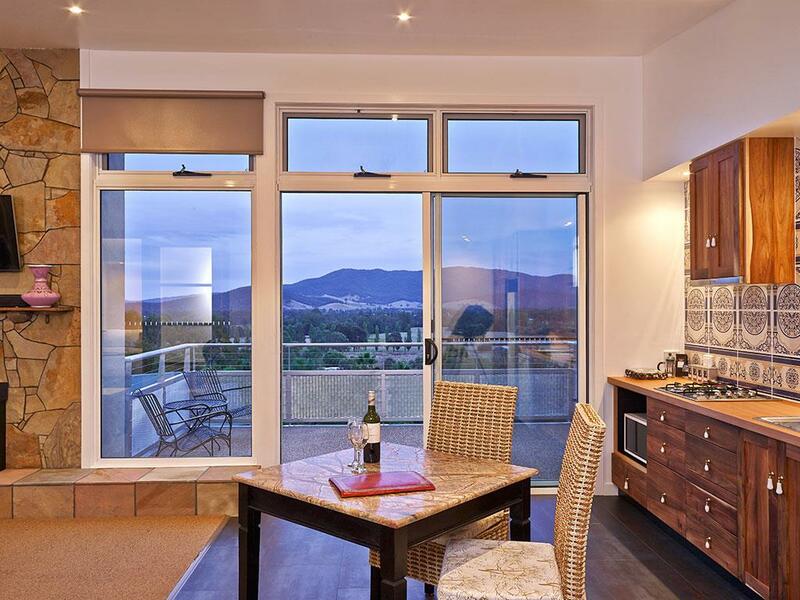 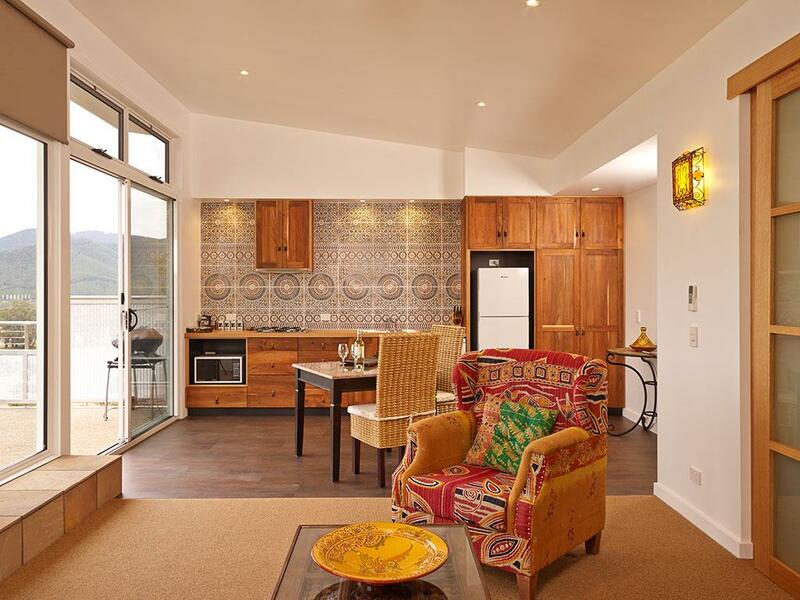 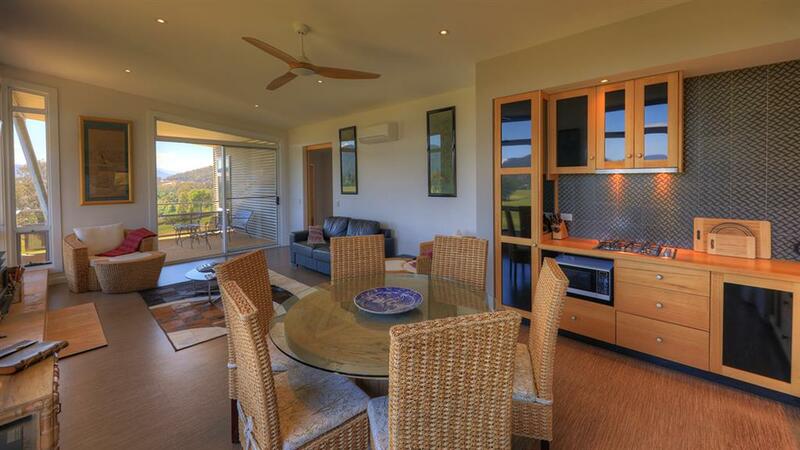 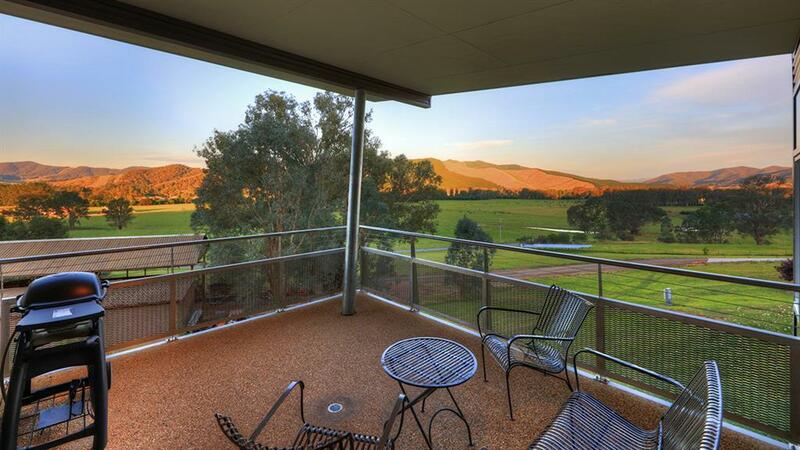 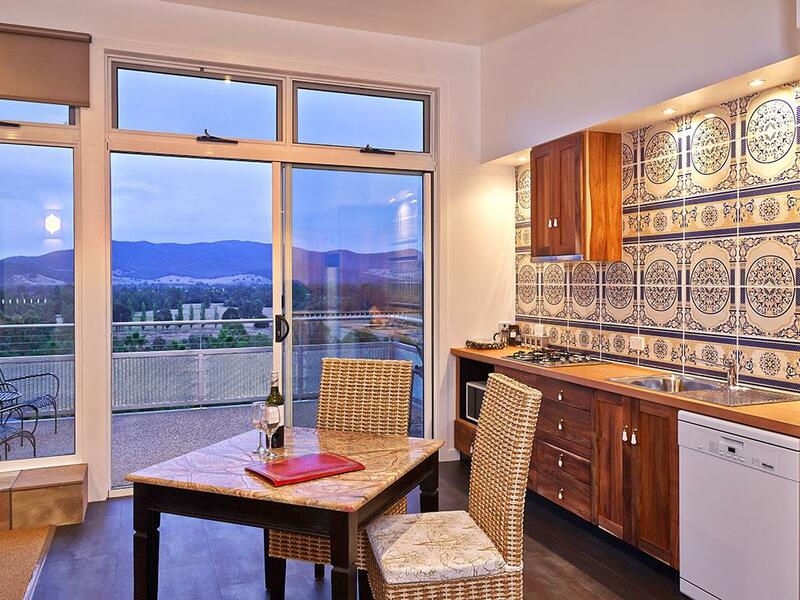 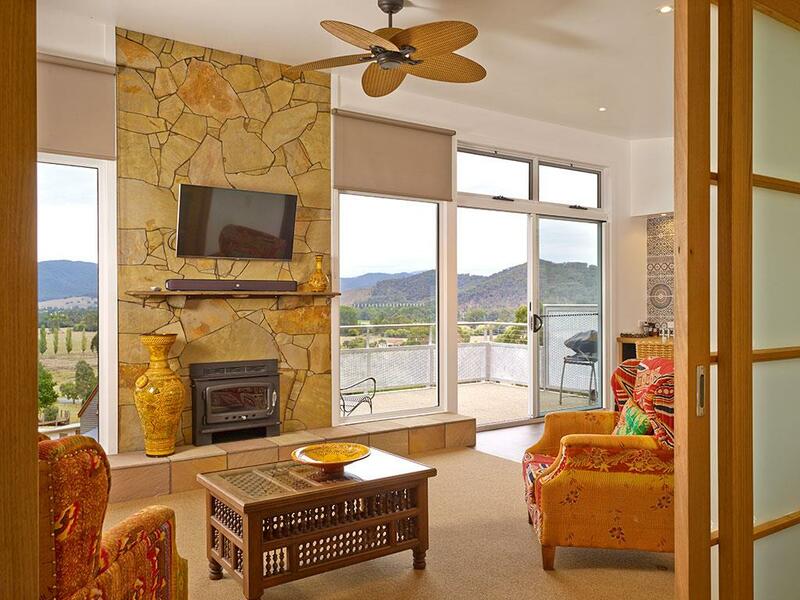 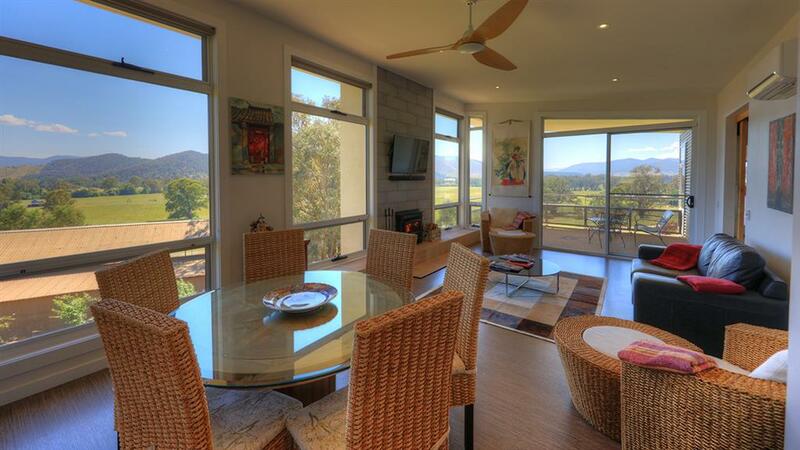 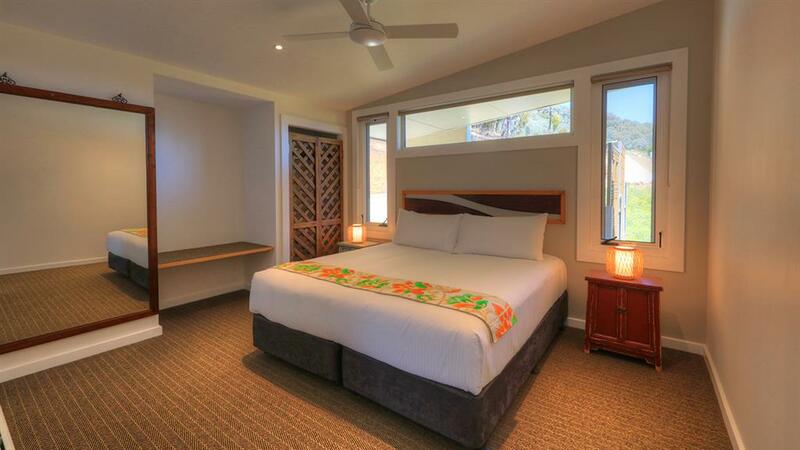 Stay at Panoramia Villas & wake up to full panoramic views of the Ovens Valley. 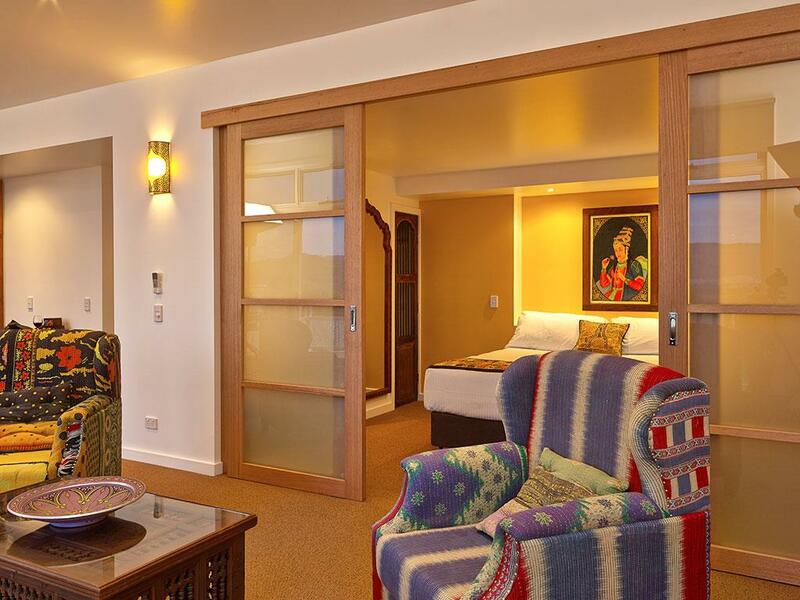 Spend your special occasion in ultimate luxury and relaxation. 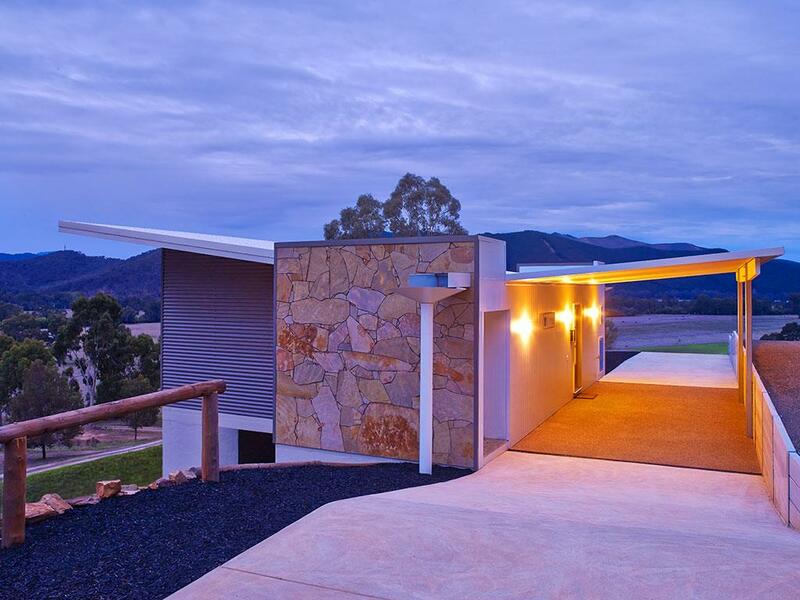 Located only 4km off the Great Alpine Road in Myrtleford, the villas sit perched high on the hillside, displaying dramatic full panoramic views of the Ovens Valley and back onto 60 acres of private bushland. 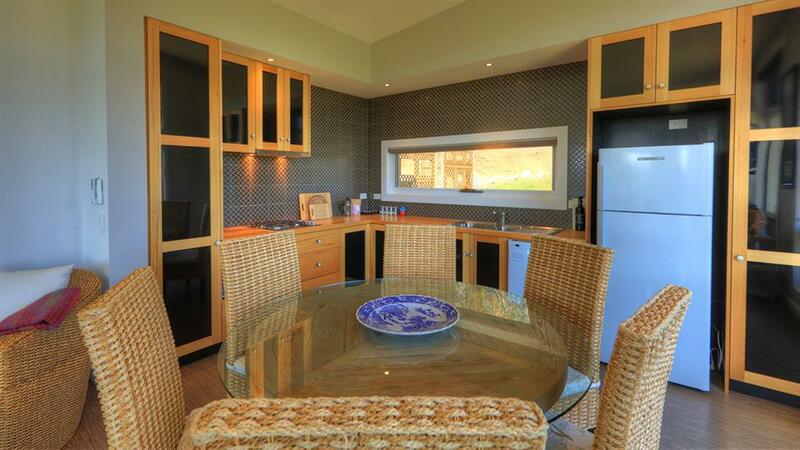 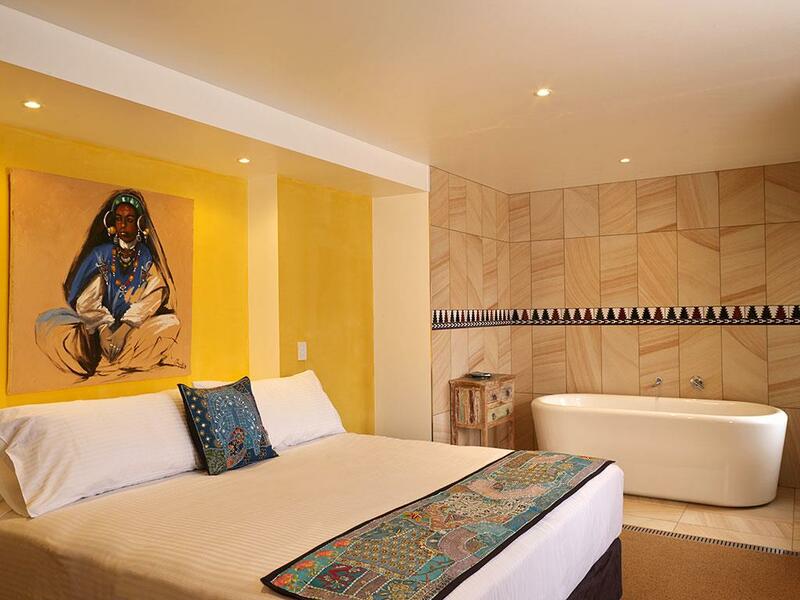 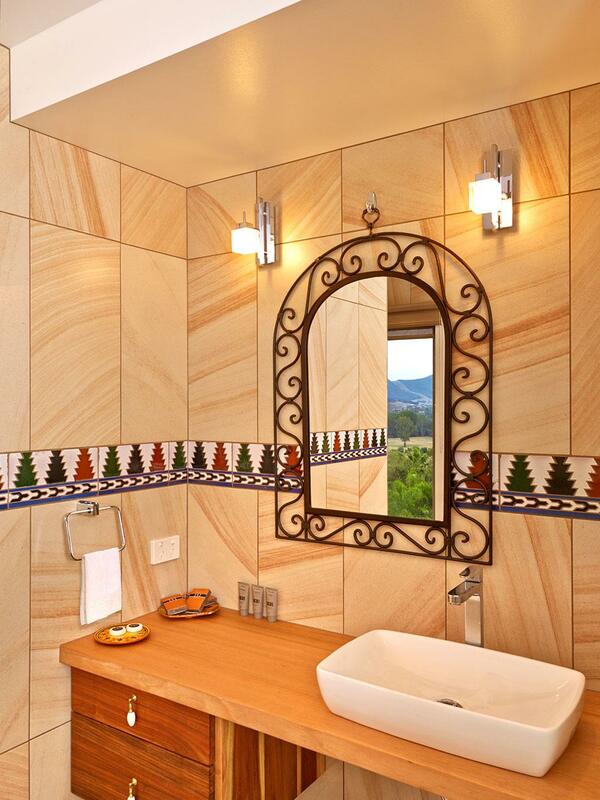 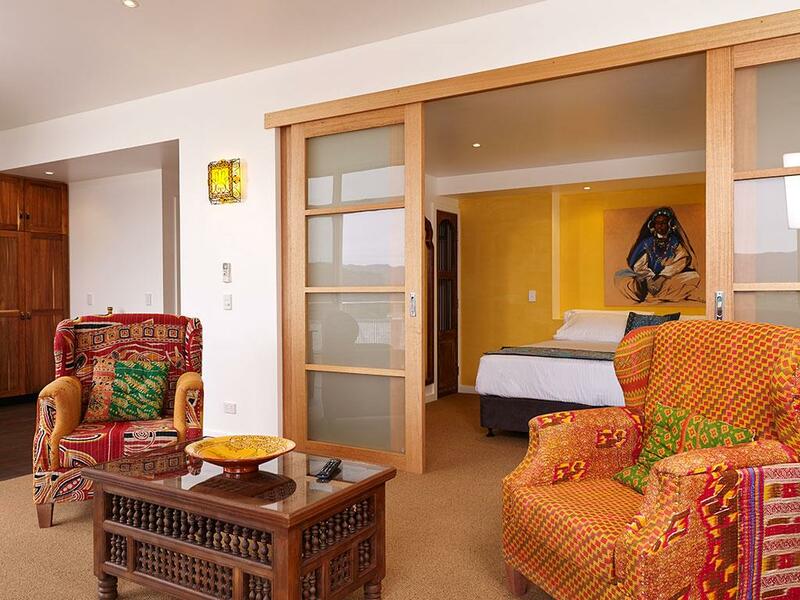 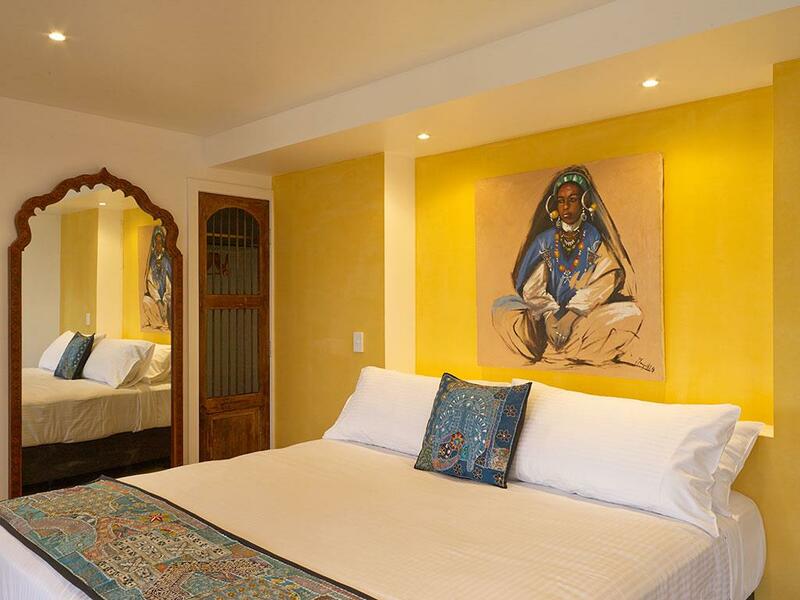 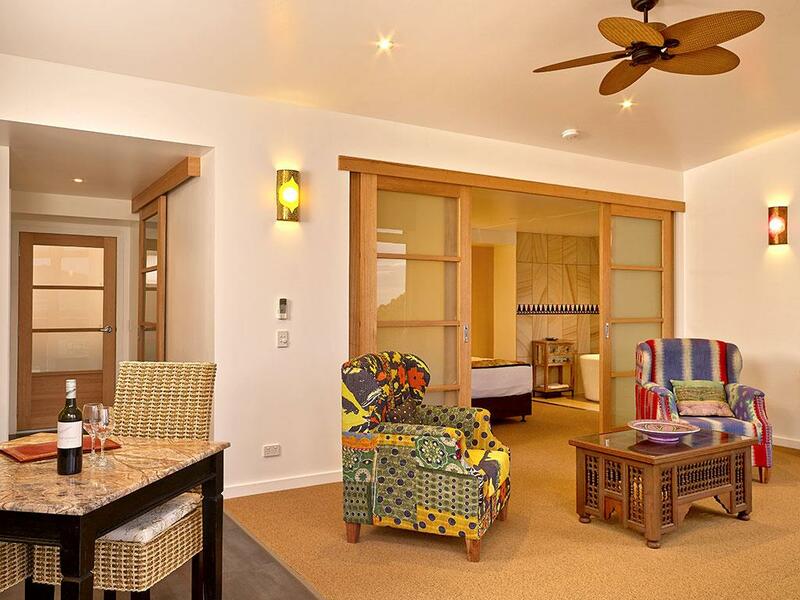 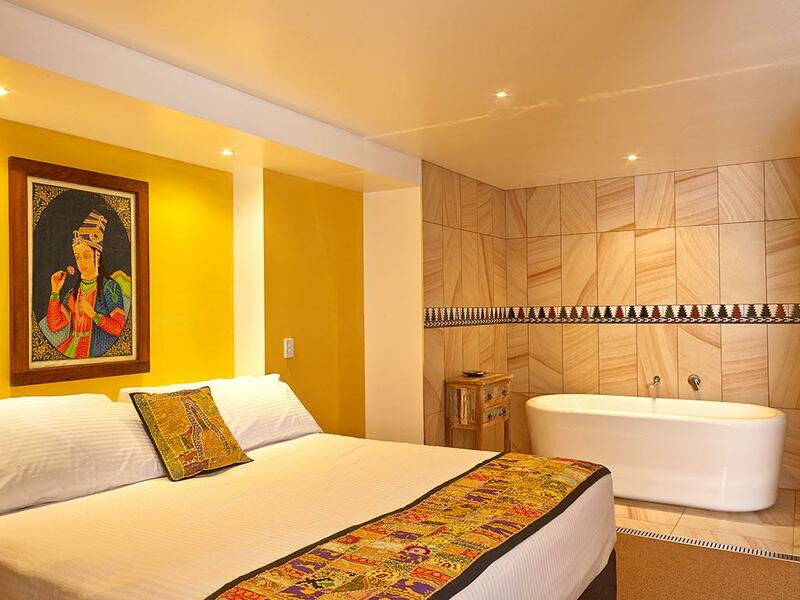 Each of the villas offer luxuriously accommodated style and exquisitely furnished interiors. 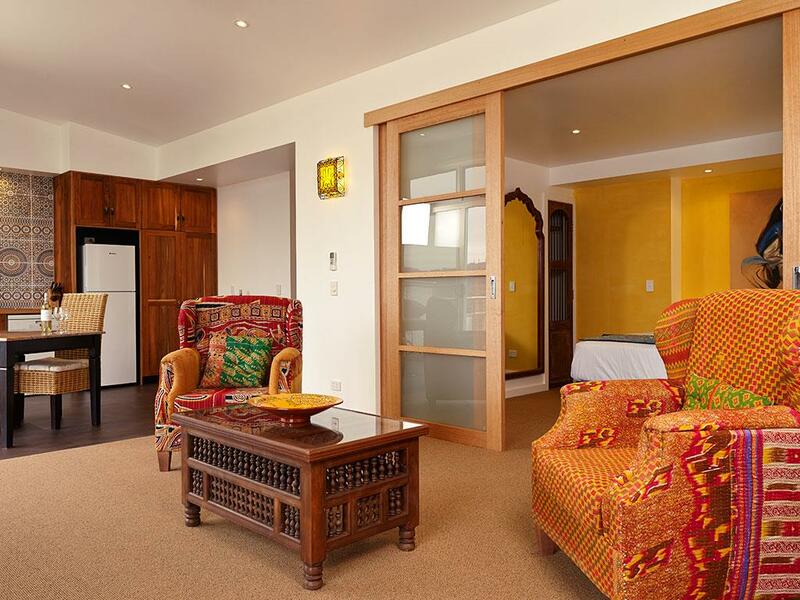 Features and facilities include; king-sized bedrooms (king bed/ king singles) with private bath tub (1Bdr) and private ensuites (2Bdr), spacious living area with floor to ceiling windows and a sofa bed for an extra adult/child, private bathrooms with showers, well equipped kitchen, washing machine, DVD/HD TV/MP3//Wi-Fi, balcony with Weber BBQ, split system A/C, Nectre wood fire, mini-bar (local beers, wines, cider), under-cover parking and disabled access. 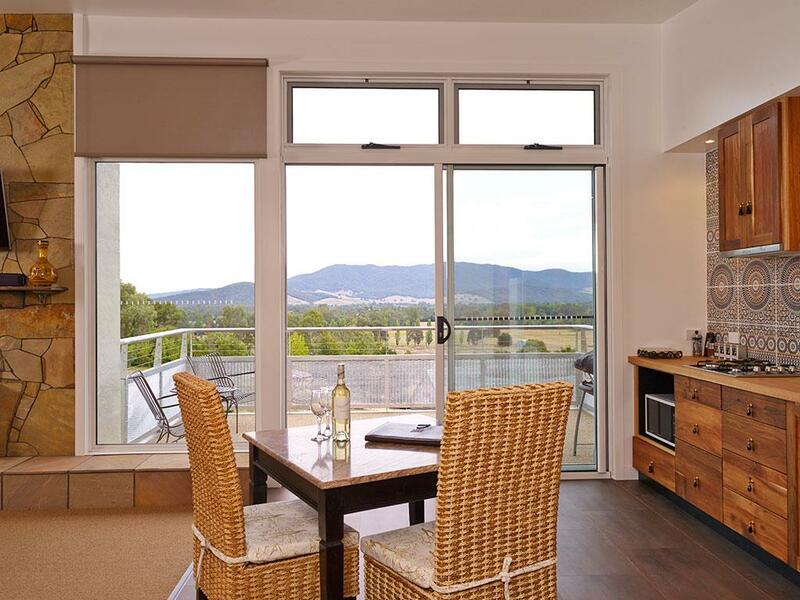 Included in your stay; Premium bed linen & towels, complimentary fresh plunger coffee, tea selection, Juice & welcome sweets, Australian Botanicals luxury toiletries range, Complimentary $20 breakfast voucher @ Cafe Fez Myrtleford, Complimentary $20 gift voucher @ Red Ramia Trading, Wood supplied, FREE WiFi. 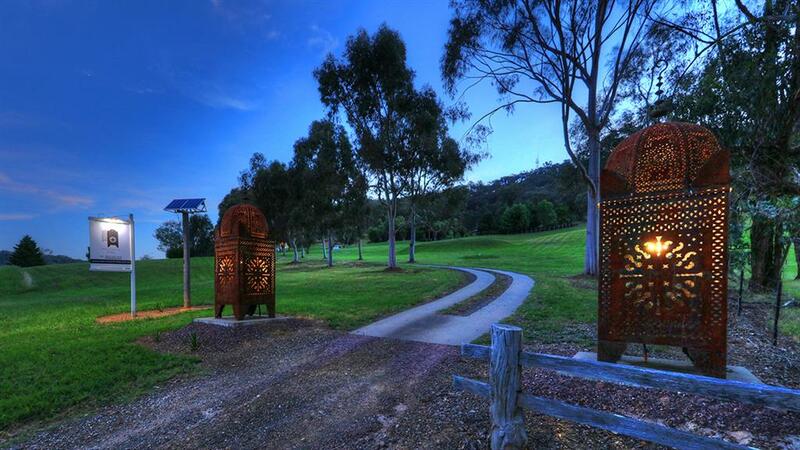 Bicycles are available on-site for guest use, subject to request and availability. 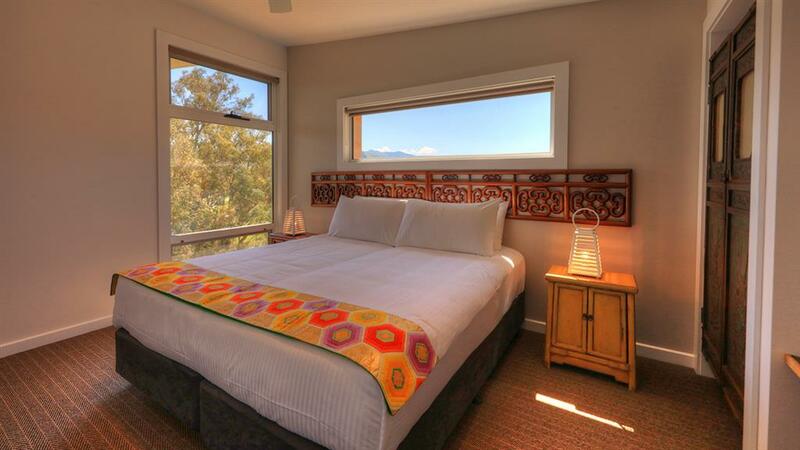 Rates include 2 adults (1Bdr) and 4 adults (2Bdr). 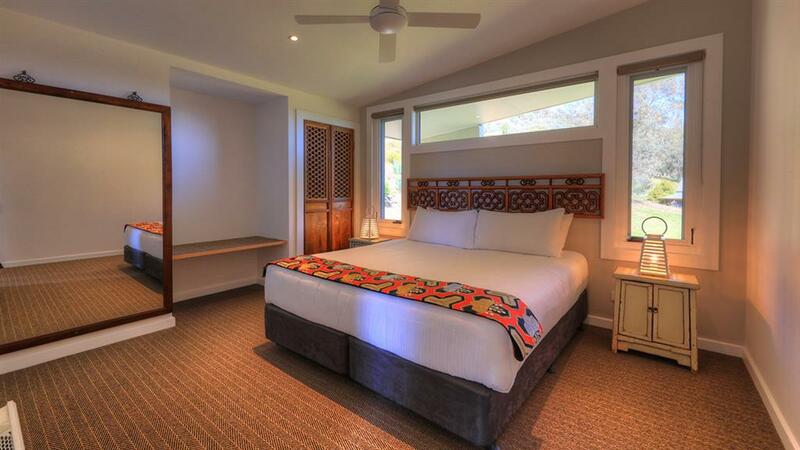 Extra adult, $20 per night, Child under 12, $10 linen fee). 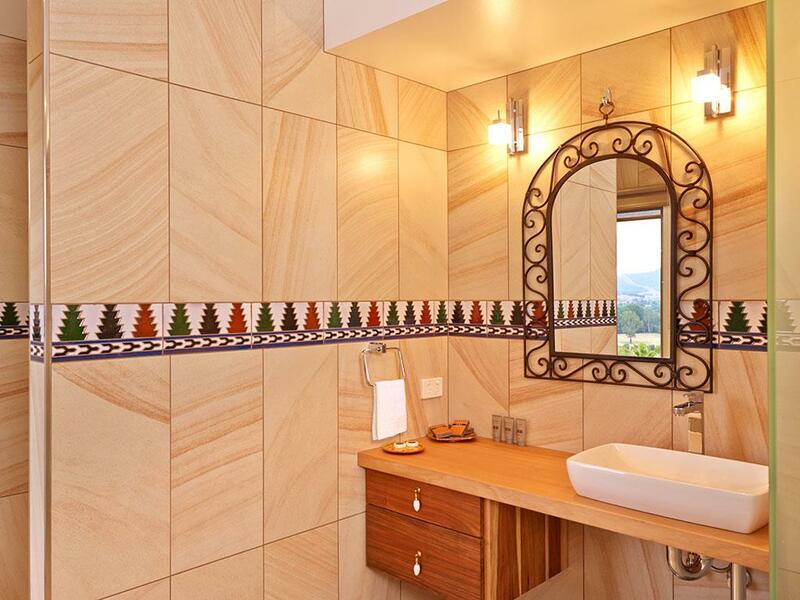 Portacot available on request, no charge. 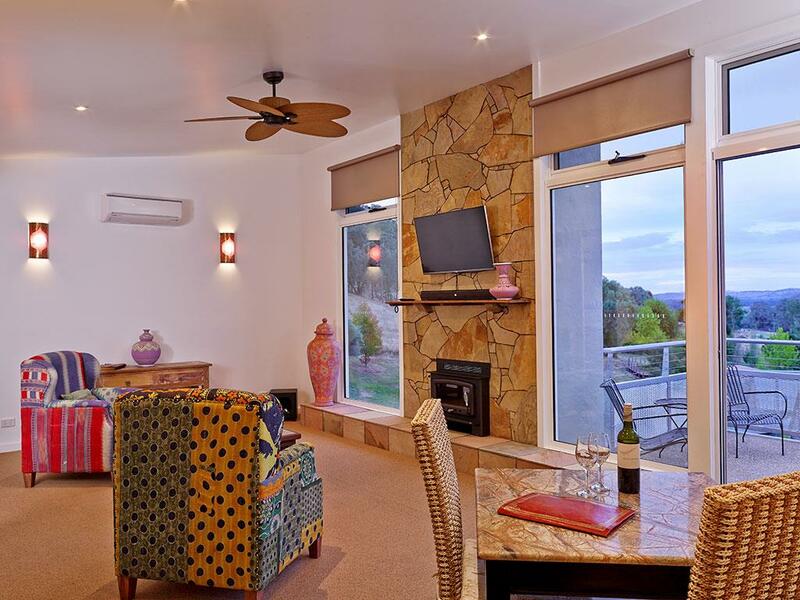 Lounge about in comfort and style, enjoy the meditative views of the Ovens Valley from your balcony or explore the local area and its wineries, restaurants, cafes, shops, attractions, festivals and markets. 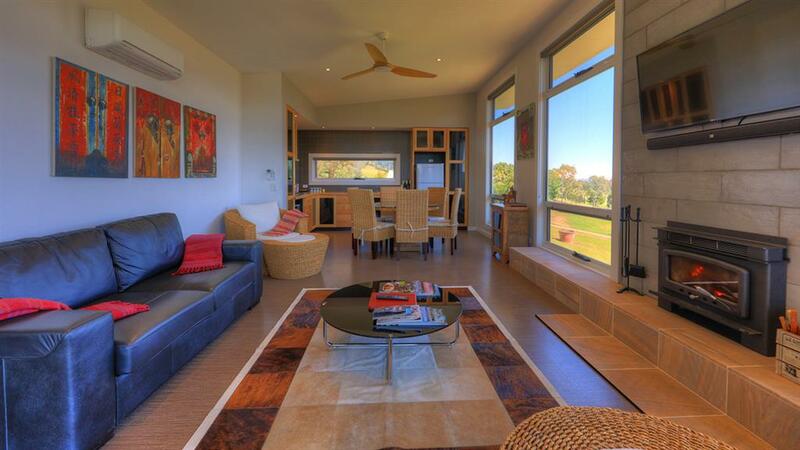 Stay with Panoramia Villas for your next exotic escape! 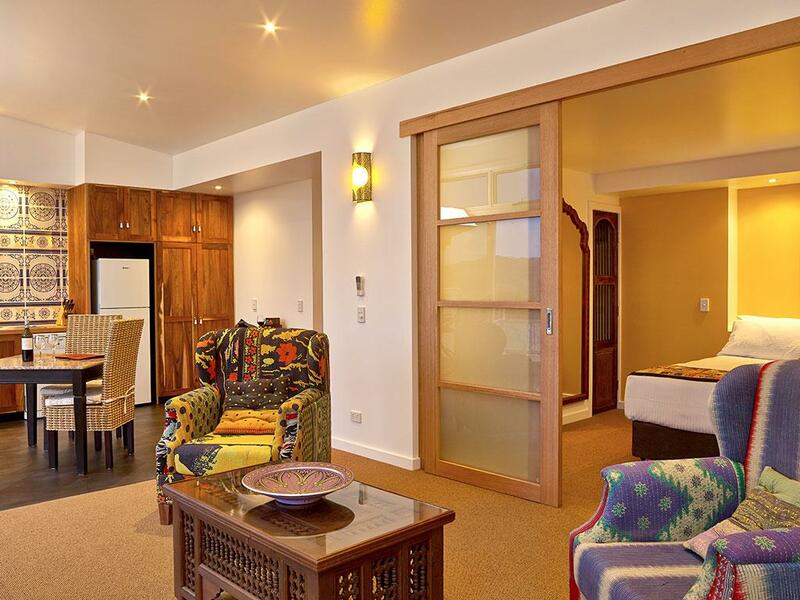 A 50% cancellation fee is required if booking is cancelled within 14 days of the booked date. 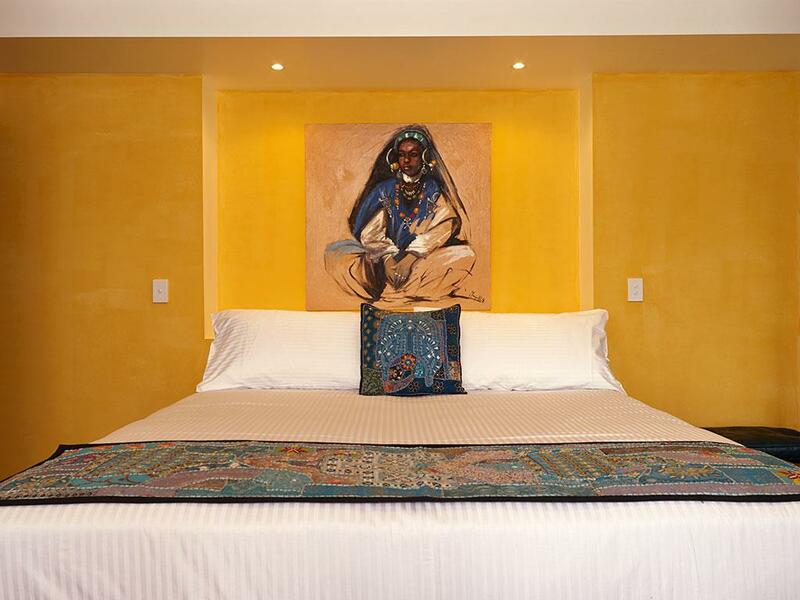 A 100% cancellation fee is required if booking is cancelled within 7 days of booked date.